Can I simply have the payment wizard allow customers to specify a quantity of a product? I am using 2checkout and all looks good as I ready my website and form for competition. 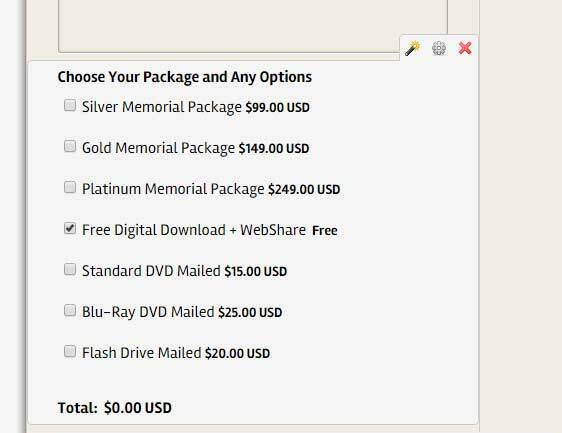 The only issue I am having is trying to keep my current payment options/checkout area looking the same, but allowing a few of my item options to have a quantity specified. How can I do this? You can add quantity option in the payment wizard as shown in our users guide, How to add options to Payment Forms. Could you please elaborate a bit more on how you would like to customize this field? Would you like to have this fields next to the product? You can customize the field by adding CSS code. Please let us know so we may better help you.